WhatsApp suffered a huge global outage earlier this week affecting millions of users who were unable to continue their chats. But the service, which boasts over a billion active users, is back running as normal - only now with a new feature . In a similar move to workplace instant messaging app Slack, WhatsApp will now let you pin certain chats to the top of the app. This could become a very handy new option if your phone is brimming with conversations. At the moment, it's only possible to use the feature in the beta version of the app. WhatsApp hasn't confirmed an official rollout but it will likely arrive on Android and iOS versions of the app in the coming months. In order to pin a conversation to the top of your list, all you have to do is press and hold on a chat to flag up the different options. You can either pin, delete or mute the conversation. 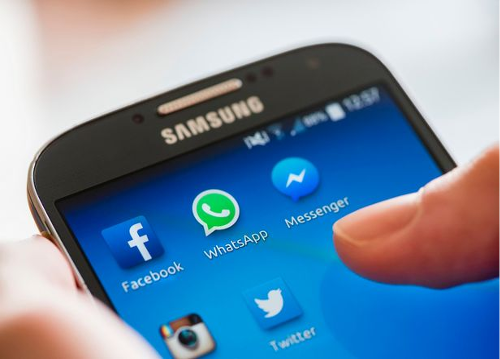 WhatsApp has slowly added new features as it has grown in popularity. And since it was acquired by Facebook for £11.4 billion in 2014. It's reportedly working on a feature that could let users unsend embarrassing messages after they have been sent. It also provides an alternative to selfie-sharing app Snapchat with a feature allowing users to post self-deleting pictures. Called WhatsApp Status, it allows people to post videos or GIFs that disappear after 24 hours. Just like regular WhatsApp messages , the new Status posts are encrypted end-to-end, meaning outsiders can't pry into what you're posting. Status updates can be sent to contacts through messages and adorned with annotations, stickers and emojis.